St George might be hailed as a national hero, but he was actually born more than 2,000 miles away. He is thought to have been born in Cappodocia (modern day Turkey) and to have died in Lydda (modern day Israel) in the Roman province of Palestine in AD 303. It is believed that his tomb was in Lod and was a centre of Christian pilgrimage. He may have worn some sort of shining armour but George was probably a soldier, not a knight as we think of him in popular culture today. From the 11th century St George was depicted in sculpture as a knight or a warrior on horseback, but the truth is less fanciful. It is more likely that he was an officer in the Roman army. Like many saints, St George was described as a martyr after he died for his Christian faith. It is believed that during the persecutions of the Emperor Diocletian, St George was executed for refusing to make a sacrifice in honour of the pagan gods. While it's highly unlikely that St George came to England, his reputation for virtue and holiness spread across Europe from about the 7th century. During the Third Crusade in the 12th century, Richard I placed himself and his army under the protection of St George. He also adopted the emblem of St George, a red cross on a white background, which was worn as a uniform and later used on the English flag. The famous tale of George and the dragon was popularised in the late 13th century in Jacobus de Voragine's The Golden Legend, which was a compilation about the lives of saints. 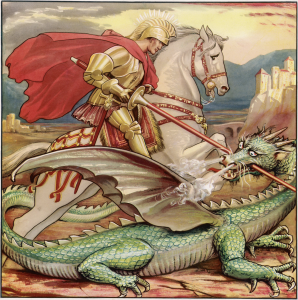 The story goes that St George rode into Silene (modern day Libya) to free the city from a dragon who had a taste for humans. The Golden Legend was translated and published in English in the late 15th century. St George was canonised in AD 494 by Pope Gelasius who claimed he was one of those 'whose names are justly revered among men but whose acts are known only to God'. A feast day of St George has been celebrated in England for hundreds of years on 23 April, which was possibly the date of his martyrdom. Following the Battle of Agincourt in 1415, St George's Day became one of the most important feast days in the English calendar. St George is a truly an international saint and England is not the only region to claim him as its patron. 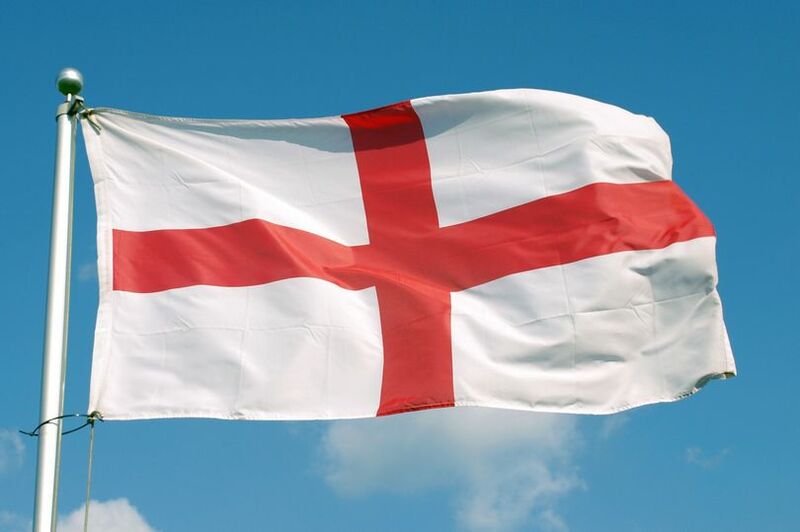 England shares St George with Venice, Genoa, Portugal and Catalonia among others as their patron saint and many of these places have their own celebrations and ceremonies in his honour. It's not just cities and countries that have St George as their patron either. During the Middle Ages, St George was regarded as one of the 'Fourteen Holy Helpers' - a group of saints people turned to for assistance during times of need. St George is also the patron of other things including soldiers, armourers, farmers and even sufferers of the plague and syphilis. Edward III is said to have founded the Order of the Garter on the site of Eltham Palace in 1348. To this day his cross still appears on the Garter badge and his image is the pendant of the Garter chain. The Order of the Garter is the highest order of chivalry in the country and Queen Elizabeth II is at the helm as Sovereign of the Garter. So this is St George. 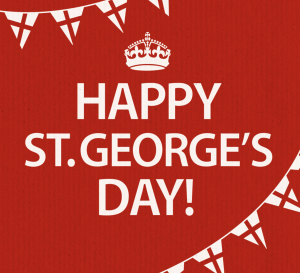 Be Proud to celebrate St. Georges Day! http://www.spy-games.com/wp-content/uploads/2018/04/JS61421162.jpg 539 810 James Sullivan http://dev.spy-games.com/wp-content/uploads/2016/11/spy-games-300x172.png James Sullivan2018-04-23 08:06:182018-04-23 08:06:18Happy St Georges Day! QUOTE OF THE WEEK It’s Beginning to Look a Lot Like Christmas!